4Bed/2Bath Home in Daphne, AL Ready For You! Exceptional home in well sought neighborhood. This home offers 4 large bedrooms, formal dining, open front porch, screened back porch large enough for plenty of outdoor living. Workshop, beautiful oaks trees, spacious living, large closets, plenty of storage. Quiet location west of Section St. 13×6 Workshop, 41×8 Screen porch, 11×11 Landing upstairs. $5000 SELLING AGENT BONUS WITH SALES PRICE OVER $305K FOR A LIMITED TIME! 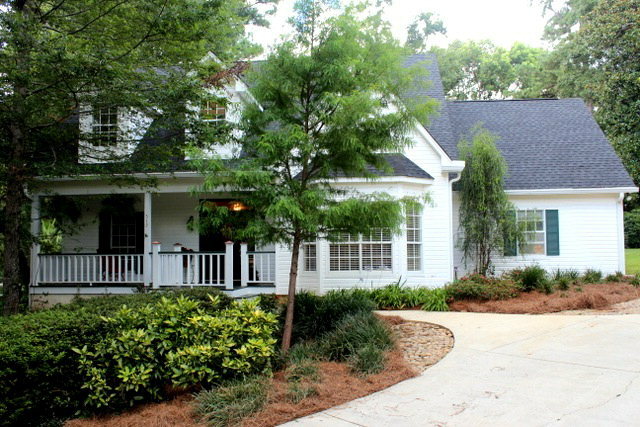 One owner custom-built home on fabulously landscaped corner lot in Old Foley. Walk to town from this wonderfully maintained home. Large bedrooms, bright and airy sunroom, 2 HVAC systems, Pella windows, oversized garage with attic storage, split brick in the foyer…the list goes on and on. This is a must see! Incredible condo in amazing location in charming downtown Fairhope. Large balcony overlooks the flower-lined streets. Granite counter tops, gorgeous hardwood and tile floors throughout. Detailed moldings and custom cabinets. The large master opens onto the balcony and has two walk-in closets and a luxury master bath. Just steps from scenic Mobile Bay, shops and dining. A must see! Best Location in Downtown Fairhope! Perfect views of Fairhope Pier, Mobile Bay and scenic Fairhope. Walk down to the pier or the bluff to watch the magnificent sunsets over Mobile Bay. Just blocks away from downtown shops and restaurants. You are currently browsing the Fairhope Realty Group blog archives for May, 2014.